A riveting literary mystery set against the rough-hewn backdrop of the New York waterfront in Red Hook. Chosen by Denis Lehane for his eponymous imprint, Ivy Pochoda's Visitation Street is a riveting literary mystery set against the rough-hewn backdrop of the New York waterfront in Red Hook. It's summertime in Red Hook, Brooklyn, a blue-collar dockside neighborhood. June and Val, two fifteen-year-olds, take a raft out onto the bay at night to see what they can see. And then they disappear. Only Val will survive, washed ashore; semi-conscious in the weeds. This shocking event will echo through the lives of a diverse cast of Red Hook residents. Fadi, the Lebanese bodega owner, hopes that his shop will be the place to share neighborhood news and troll for information about June's disappearance. Cree, just beginning to pull it together after his father's murder, unwittingly makes himself the chief suspect, but an enigmatic and elusive guardian is determined to keep him safe. Val contends with the shadow of her missing friend and a truth she buries deep inside. Her teacher Jonathan, a Julliard School dropout and barfly, wrestles with dashed dreams and a past riddled with tragic sins. Summer is everybody else's party. It belongs to the recently arrived hipsters in their beat-up sneakers and paint-splattered jeans spilling out of the bar down the block. It belongs to Puerto Rican families with foil trays of meat, sending charcoal smoke signals into the air, even to the old men in front of the VFW, sitting out, watching the neighborhood pass them by. Val and June lie on Val's bed on the second floor of her parents' house on Visitation. The girls are waiting for the night to take shape, watching the facing row of neat three-story brick houses. Although June has the phone numbers of twenty boys in her cell, ten she'd willingly kiss and ten she swears are dying to kiss her, the girls are alone. June's been scrolling through her phonebook looking for someone she's missed, her polished nail clicking against the screen. If she keeps this up, the battery will be dead by midnight, which is what Val's hoping for. I am in awe of Pochoda's craft, not just because of her skill in placing the reader viscerally at the heart of Red Hook, but because she can do so without sacrificing the story line. There's no noticeable break in the forward action of the plot. (Reviewed by Donna Chavez). Starred Review. Rich with characters and mood . . . Red Hook itself feels like a character-hard-worn, isolated from the rest of New York, left behind and forgotten. A terrific story in the vein of Dennis Lehane's fiction. Starred Review. Exquisitely written, Pochoda's poignant second novel examines how residents of Brooklyn's Red Hook neighborhood deal with grief, urban development, loss, and teenage angst. … Pochoda couples a raw-edged, lyrical look at characters' innermost fears with an evocative view of Red Hook." Starred Review. [R]iveting...will keep readers enthralled until the final page. The prose is so lyrical and detailed that readers will easily imagine themselves in Red Hook. 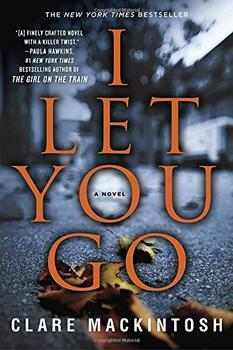 A great read for those who enjoy urban mysteries and thrillers with a literary flair. Visitation Street is urban opera writ large. Gritty and magical, filled with mystery, poetry and pain, Ivy Pochoda’s voice recalls Richard Price, Junot Diaz, and even Alice Sebold, yet it’s indelibly her own. Ivy Pochoda makes the saltiness of Brooklyn's Red Hook come to life so vividly that every time I looked up from the pages of this intoxicating novel, I was surprised not to be there. Visitation Street is imbued with mystery and danger. Visitation Street [is] beautiful, haunting. Ivy Pochoda brings forth the full palette of human emotions in this gripping urban drama, a story that hurts you on one page and gives you hope on the next. A marvelous novel. Pochoda's premise is inspired, the novel that unfolds even more so. Rich characters, surprising shifts of plot and mood. I loved it. In Visitation Street Ivy Pochoda puts us smack in the middle of a place like few authors can. "Music from Coffey Park is rolling down Visitation Street, signaling the kickoff of Old Timers Day on the backside of the neighborhood. 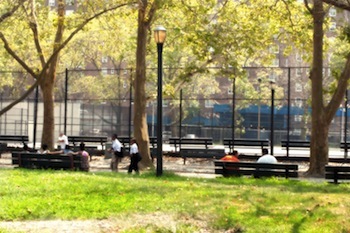 Overnight, families from the projects have staked out plots of the park, jockeying to get prime real estate for their barbecues ... Men carrying foil trays of macaroni salad and slaw search out their families' tables. Kids chase one another between the grills. Grandmothers parade their visiting grandchildren."